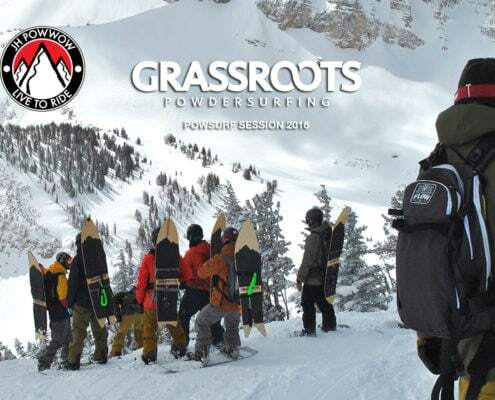 Grassroots Powdersurfing was founded to create a pure, and truly binding-free powder-riding experience. Drawing inspiration from skateboarding, surfing, and snowboarding, we developed a form of self-expression that pays tribute to the heart and soul of snowboarding. 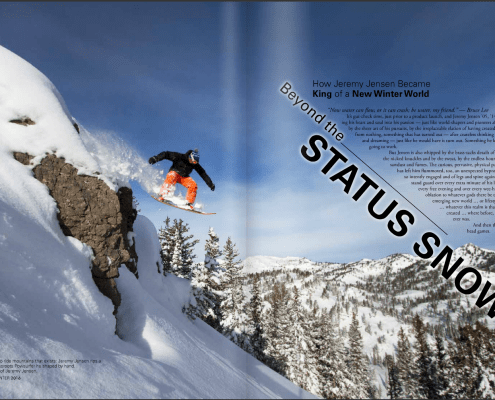 Our board designs and philosophy have created a whole new style of riding mountains and opened up new avenues for progression that had yet to be explored in the world of snowboarding. 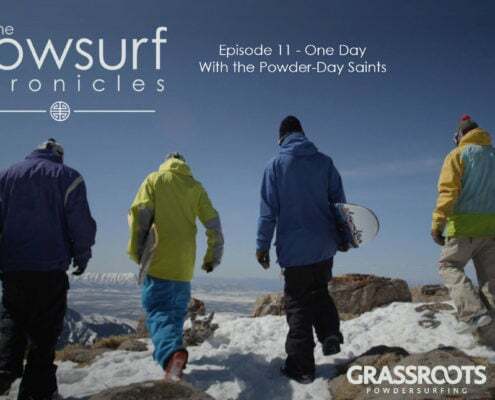 We’ve returned to the roots of snowboarding and embraced the original desire to literally surf the mountains in the same way surfers ride waves and skateboarders ride streets; completely binding-free and hands free. The crew favorite for 2017-18. Fast, aggressive and unsinkable. Specialty Powsurfers Crafted with French Walnut, Teak, African Etimoe and Curled Walnut. Black topsheet, black custom 3D traction, black top print and a black sintered ptex 4001 base. Black is the new black. beautiful long & drawn out turns. Unbeatable Float, Agility, and Precision Control With A Ride and Feel Unlike Any Snow-sliding Device on Earth. One of our most versatile shapes. Our Patented 3-D Base Technology Provides the Highest Performance Possible in All Conditions. When the Waves Get Big So Do the Consequences. Reach For a Stick That Can Handle Variable Conditions and Shallow Sections That Come With Big Wave Terrain. Starring: Terje Haakenson, Jeremy Jensen, DCP, Scotty Arnold, Neil Provo, Al Clark, Atsushi Gomyo, TSK, Ian Provo, Craig Stevenson and many more. 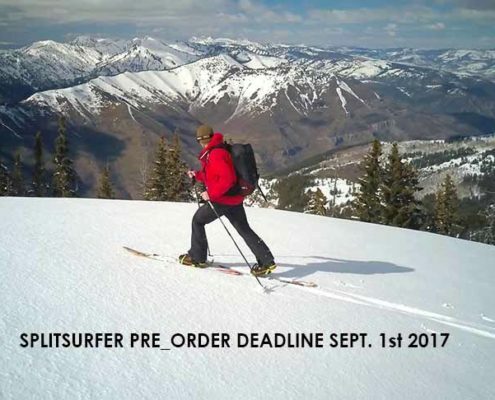 If You Truly Want to Surf the Snow, You Must Free Your Bind! Something incredible happens when you remove that fixed connection to the board from the equation. 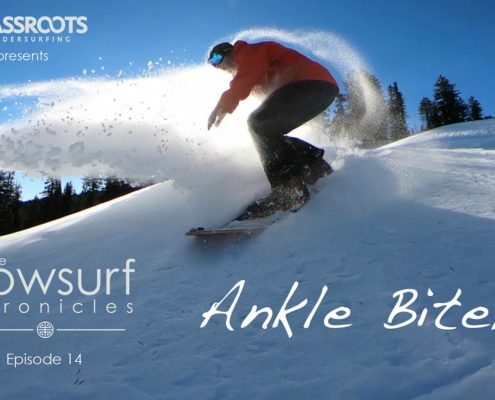 The perception you’ve grown accustomed to while snowboarding is altered immensely. Small hills become large, big mountains become huge. You begin to notice details in your environment that never peaked your interest before. 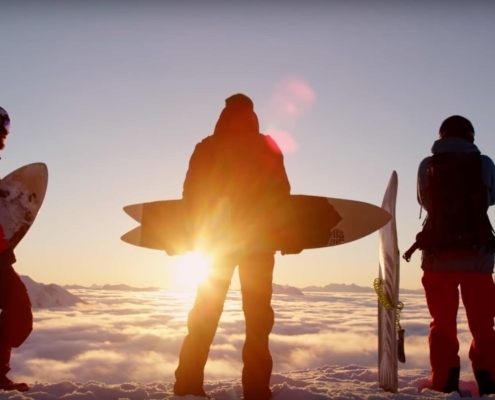 The world’s largest playground that we call “the backcountry” suddenly becomes even bigger. 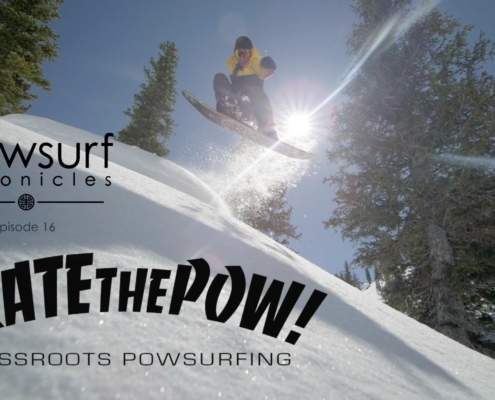 Powdersurfing offers a whole new way of viewing and interacting with the terrain in front of you. 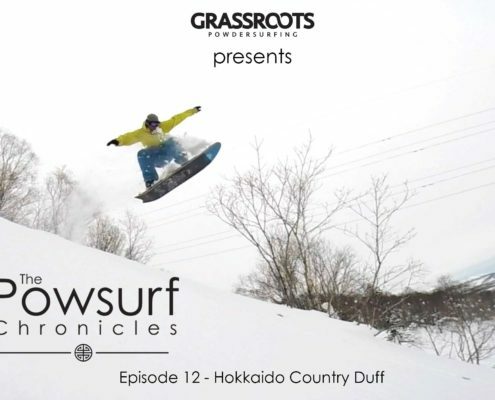 You can choose to experience the most surf-like style of riding imaginable as you ride the frozen waves; smacking lips and laying down deep bottom turns while floating atop the deepest and lightest powder. You can visualize your environment as the largest skatepark on earth; taking full advantage of the fact that there is no connection to your board and pursuing a true skate-style of riding. Snapping ollies, bomb dropping, or spinning and flipping the board under your feet. 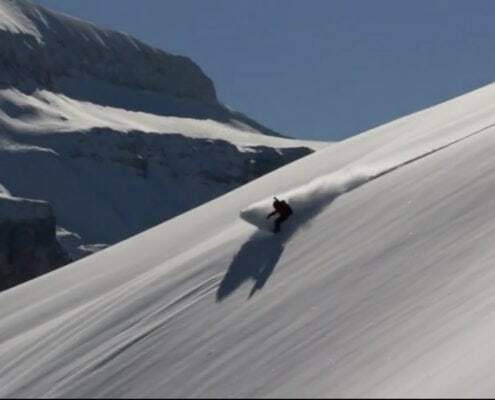 You can choose the snowboard-style approach; dropping cliffs, punching chutes, and launching airs just as you did when you were strapped in, but now with greater challenge and deeper sense of satisfaction. The avenues of self expression are limitless and there is a whole new world to explore. 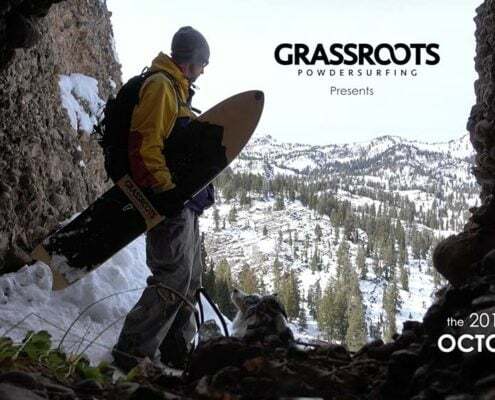 Whether you are riding deep in the backcountry or just outside your back door, powdersurfing offers a challenge that can make even the most simple terrain fun again. 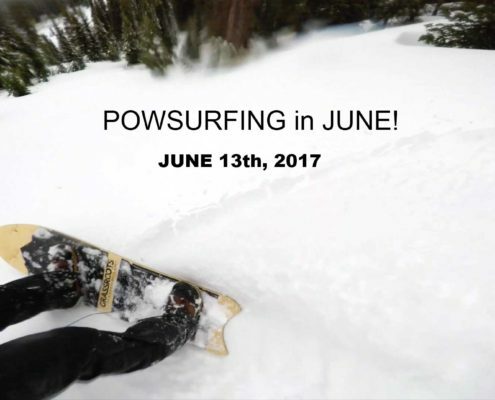 Welcome to Powdersurfing! You have discovered the fountain of youth. 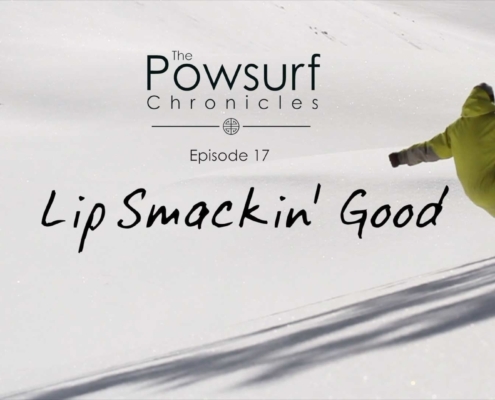 Powsurfing Godfather Jeremy Jensen joins snowboard legend Scotty Arnold and ski & snowboard brothers Ian and Neil Provo for a week of powsurfing deep in the Monashee's with Mustang Powder Guides. 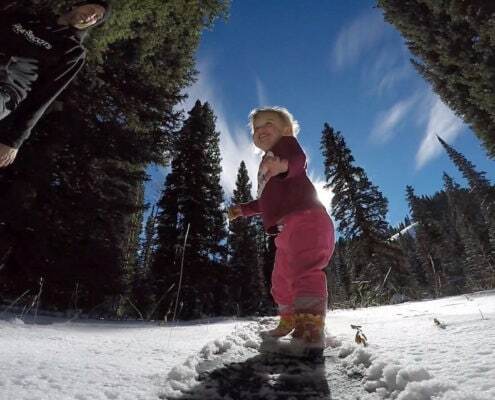 The nooks & crannies that are normally buried deep in the snowpack have become our current playgrounds. 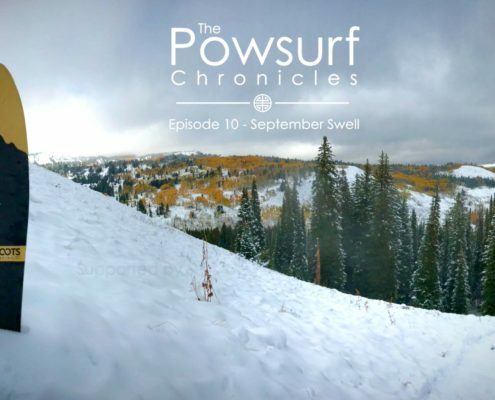 "Ankle Biters" or really small waves is what episode 14 of The Powsurf Chronicles is all about. 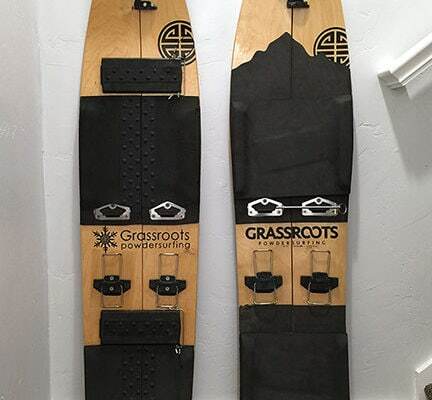 2016-17 Grassroots Split-surfer models expand access possibilities, making the most functional and durable powsurfers on earth even more versatile. This isn't the solution for everyone, but for riders with long ascent/descents and those wanting to access side country via ski resorts it's a great way to access more powsurfing terrain. The proof is in the pudding. 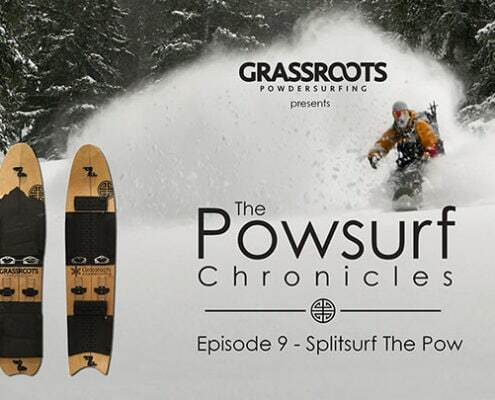 Nothing performs like a Grassroots Powsurfer.